I have a very special guest to introduce you today. Yes, she is a good old retired Halloween witch. She visits me on the month of October every year and sits in my living room before she goes back to where she came from. Soonja is usually quiet sitting on her favorite spot in the room and watching the whole world passing by in front of her eyes. But when it comes to a time that I play with food for Halloween?, she has to stick her nose on me and tells me what to do. I have to listen to her. Otherwise she might cast a naughty spell on me. Who knows? She might turn me into a bat or a mice. Okay Soonja! 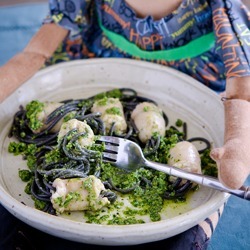 We are going to make your spooky Halloween pasta, Black spaghetti with sausage and pesto. Are you going to tell me how to make it? “Vaash your hands fust” Soonja demanded. So here we go… I washed my hands and we were ready to start. 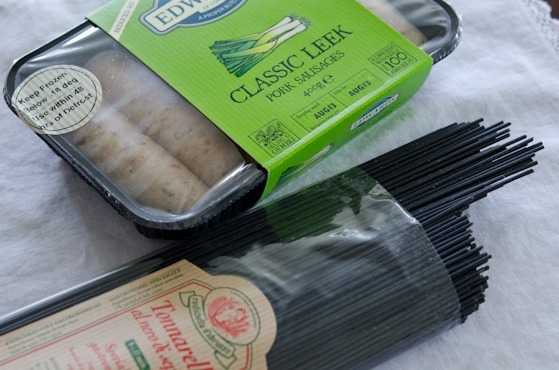 Here is black spaghetti and some pork sausages. 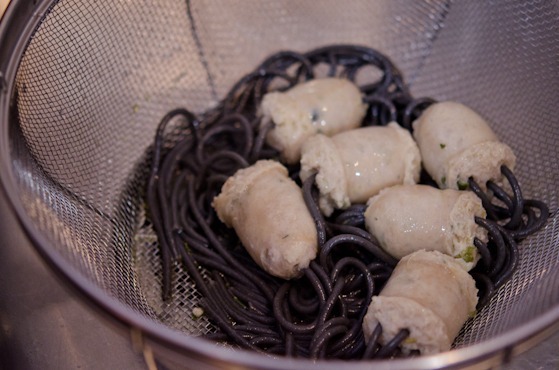 Blackness of this pasta comes from the squid ink. Yes, it is edible and is NOT fishy. You might be able to get this type of pasta at the international shops such as Trader Joe’s or World Market, etc. “What is GOWP?” I asked. “Well, what did he eat then?” I quietly asked. “Uuuuhh…” I hesitated. Because they looked like Medusa’s hair just got shampooed. “You vill like it, my dear. Trust me…, Eee-hee-hee-hee” She squealed. To my surprise, it was quite tasty. 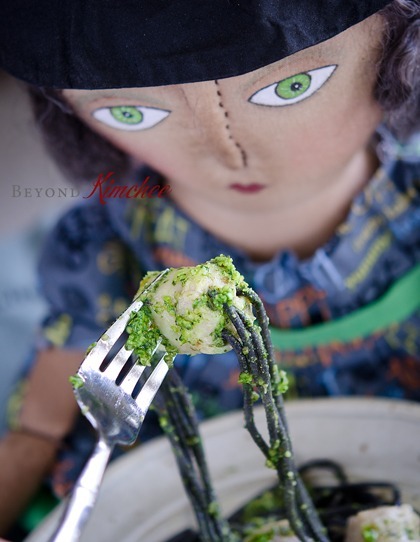 Who would have thought a witch can help me make such a scrumptious pasta? “How is it, my darling?” She asked. 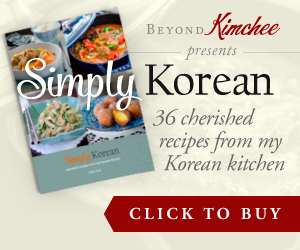 “Creepy good, Soonja!” I answered with my mouth full slurping a piece of strand sneaking out on the side of my mouth. “Alright, dear! I am tired now. I better go rest.” Her long skinny legs were dangling down lifelessly as I moved her to her favorite spot. I was feeling a little sad because my broomstick-less old witch friend has to leave in a few days. I polished off the plate and moved on to my everyday chores. 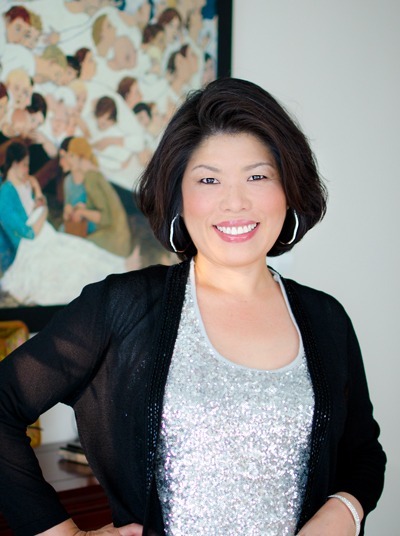 I am grateful that I have Soonja inspiring me to be whimsy every Halloween. I like inspiring people (or witch). Hope you enjoy her creepy pasta as much as I did. Poke 6-10 spaghetti noodles through each sausage pieces. 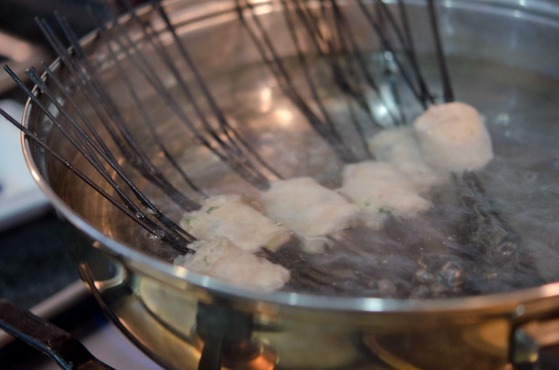 When done, drain the noodles and drizzle olive oil to prevent them from sticking. Boil water and cook sausage spaghetti noodles according to package directions, about 9 minutes. 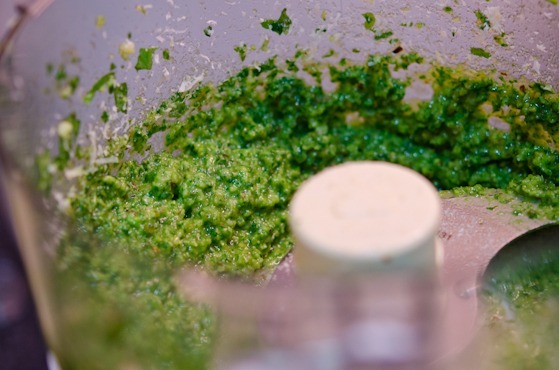 To make pesto sauce, put basil, pine nuts, garlic, and parmesan cheese in a food process. 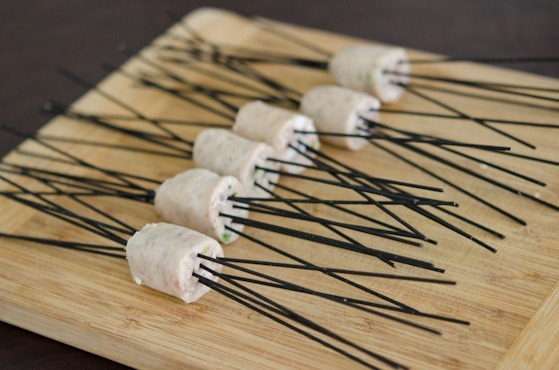 Pulse them together as you drizzle the olive oil through a tube until well blended.Season with salt and pepper. Toss the spaghetti with pesto sauce and serve. So clever, and a delightful post...errr should I say spooky post?!! Hehe! 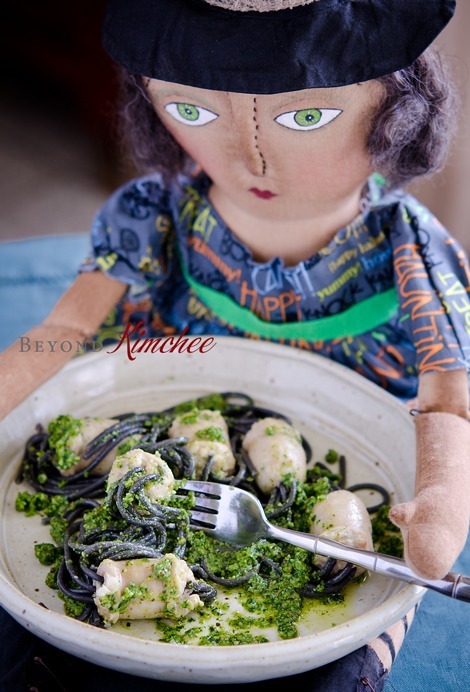 I have some black rice pasta, and I thought that would be perfect for Halloween. I like the way you prepared it with the sausage and your pesto looks great! Thanks Lyndsey. 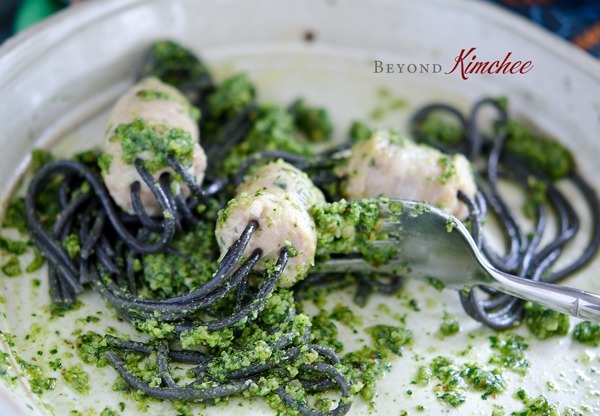 Black rice pasta would taste great with pesto! Wow, what a great dish! And I actually have some black spaghetti in the house! It must be fate that I'm intended to make this! Particularly since I just picked the last of the basil from our garden, and plan to make pesto. ;-) Good stuff - thanks. 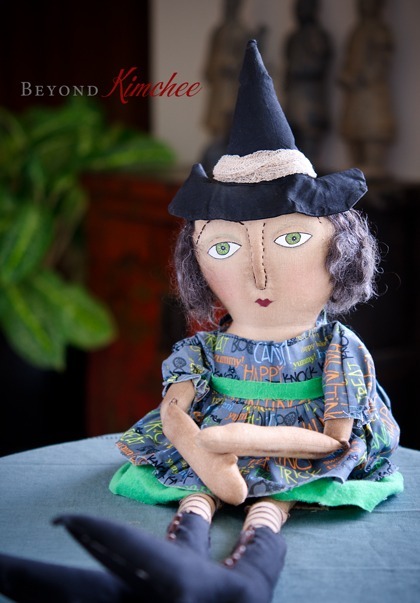 This witch is so creepy and cute! Your post was funny! What a great way to celebrate Halloween - with creativity and humor! And black spaghetti looks SO delicious! Thanks Julia. It was fun to make and delicious to eat. My kids loved it.